Most months our Spotlight on Flex showcases professionals from member organizations who exemplify personal and professional success while working a flexible schedule. Their stories illustrate the long-term benefits that flexible schedules offer to both individuals and organizations. 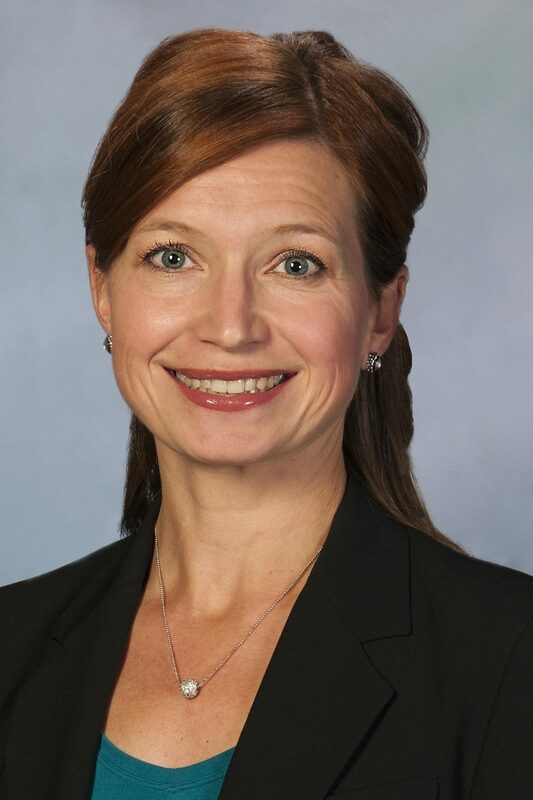 Although we typically highlight an attorney from a member organization, this month we wanted to showcase Dr. Cindy Kelley, Vice President, Medical Education, Summa Health (Akron, OH) one of this year’s Flex Success® Award honorees as she was unable to attend our Annual Conference due to a last minute conflict. Dr. Kelley, along with her co-honoree, Lori Mihalich Levin (Dentons), exemplifies how flexibility works across industries and across client/partner relationships. We are thrilled to share her personal Flex Success® story with you. Diversity & Flexibility Alliance: How have you made flexibility a priority and a success with your schedule? How has your organization contributed to this? Dr. Cindy Kelley: I have learned that with planning ahead and clear communication, a flexible schedule is possible. With four daughters, I’ve realized that one-on-one time with each of them is a rarity but is so important. So, I’ve started blocking the first hour on my Friday schedule so that each week, I can take one of them to breakfast before school and work. Things do come up and we have to be flexible! But I’ve learned that if you don’t at least make a plan, time will pass you by, and you’ll miss these opportunities. My organization contributes to this flexibility by trusting us to get our work done and focusing on outcomes rather than the process. In addition, my boss not only talks about the importance of work-life balance; he lives it. This gives us permission to live it too. DFA: How has working flexibly made your career more sustainable and contributed to business/professional development opportunities? CK: My career would not have been possible without the support of my institution, and specifically, my partners as I shifted and changed my schedule early on. Just one-and-a-half-years into my first job as a family medicine residency faculty member, I went to my boss in tears telling him that I didn’t think I could continue working full-time and taking obstetrics call. I hadn’t anticipated how hard it would be to manage my schedule with a toddler and a newborn while my husband worked ED shifts. We talked about what I needed and discussed a potential plan. He took this to my entire group and they supported the change in my schedule. Since that time, I have worked all kinds of schedules. I am forever grateful to my partners for their support. I have also experienced times when I need to work more in order to meet my professional goals. For a year, I traveled almost every month to complete a health policy fellowship. This fellowship culminated in a publication and opened the door to my current position. In order to make it happen, my husband shifted his schedule and took over many more duties at home. He made it work. We have a true partnership, and we shift and change for each other. I feel extremely lucky to have such a partner in life, and a wonderful role model for my daughters. DFA: Looking back, would you do anything differently, or what would you tell your younger self? CK: I believe that things happen for a reason. My path towards becoming a physician was not exactly a straight, smooth one, but I wouldn’t change anything because it made me the person I am. Those early lessons have helped me face even bigger challenges, which in turn, are hopefully helping me learn and grow so I can handle the next wave. I am actively working to do this every day, but I would tell my younger self to try to enjoy this moment. Don’t be consumed with what’s coming next. It will come. But these moments will pass, and you sure don’t want to miss them. DFA: How do you recharge, and how do you pay it forward? CK: I recharge by taking walks with my dog, Max (my girls join me sometimes, too), reading, writing, and by practicing yoga. I also love driving my Miata. Mazda first manufactured this car the year I turned 16, and I was immediately in love. For my 40th birthday, my husband surprised me with a red one. I said, “No, I can’t take this,” all the way home. When I drive it, nothing can bring me down, especially if I crank late 1980’s-early 1990’s pop music! To pay it forward, I volunteer for various community activities throughout the year that Summa is involved in. I want to be an example for my girls so they understand that it is our responsibility to take care of each other in this world…and this extends far beyond our immediate families. Our local public school system has a very strong community outreach program, and so far, my oldest daughter is showing me up with her involvement. This makes me very proud.